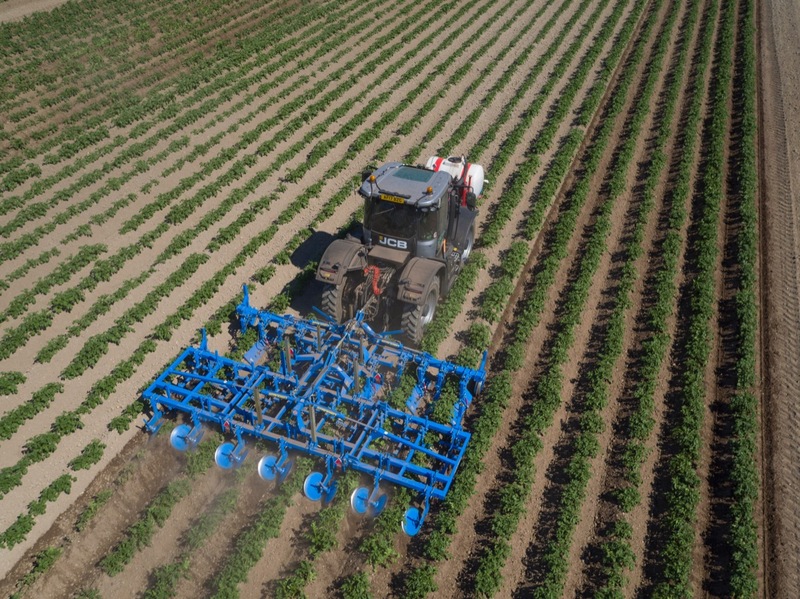 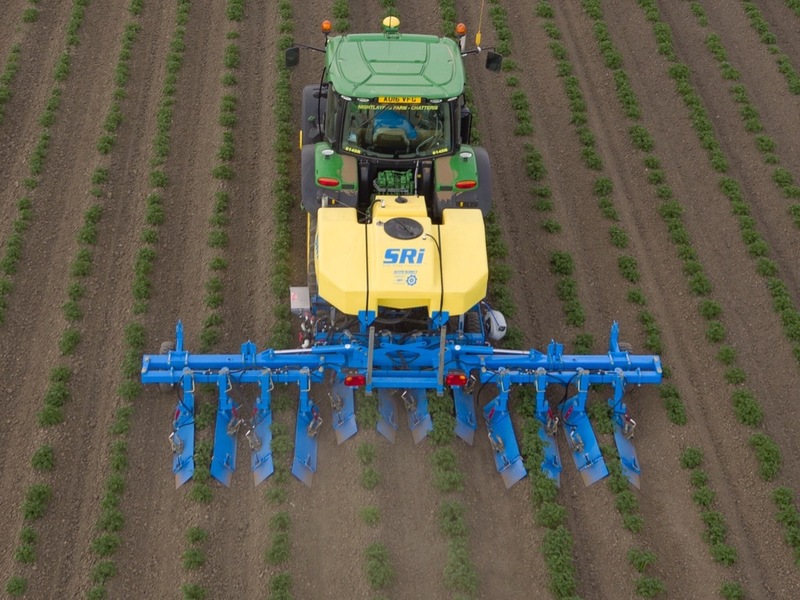 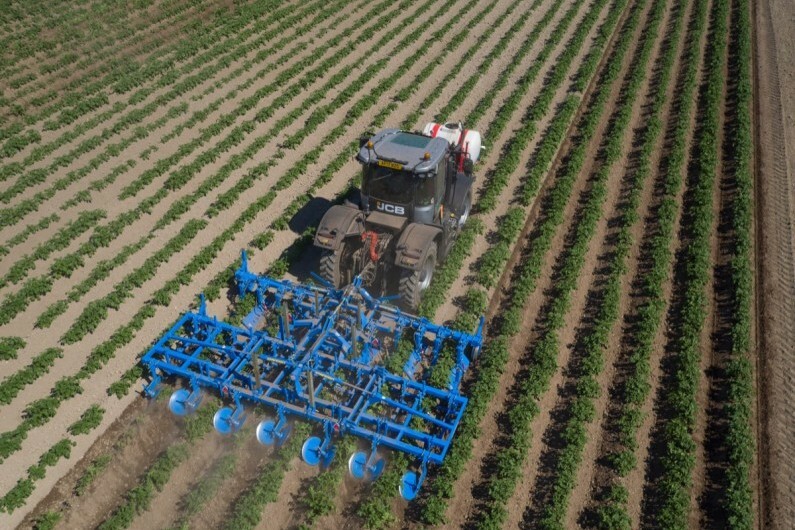 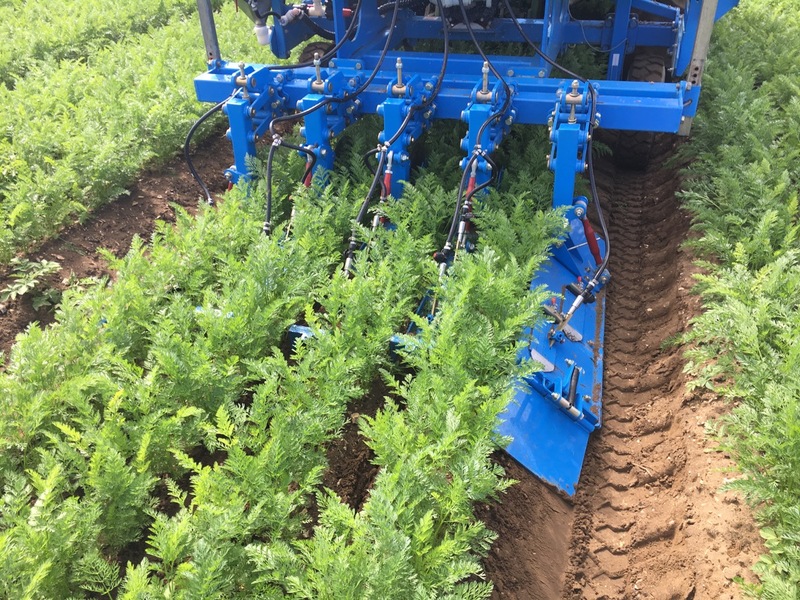 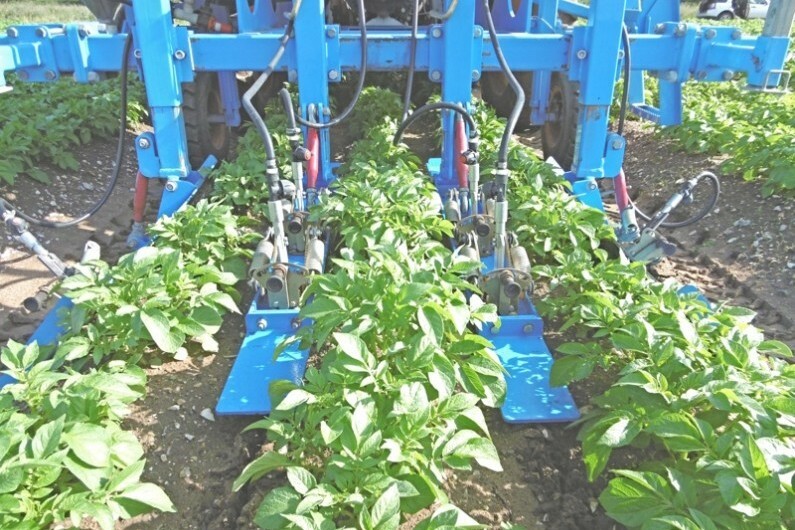 Target Set Technology have developed Side Ridge Injection™ (SRi™) which is a system using innovative technologies for injecting the latest generation of chemical and biological materials directly into the side of potato ridges at high pressure. 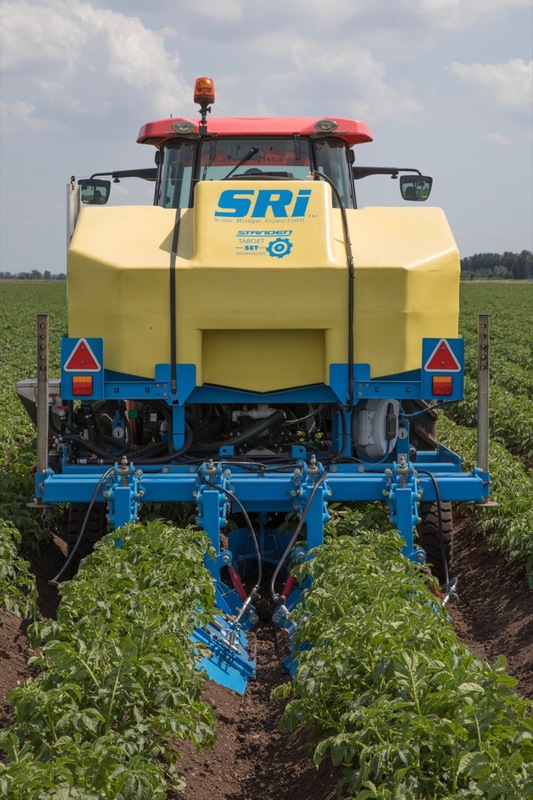 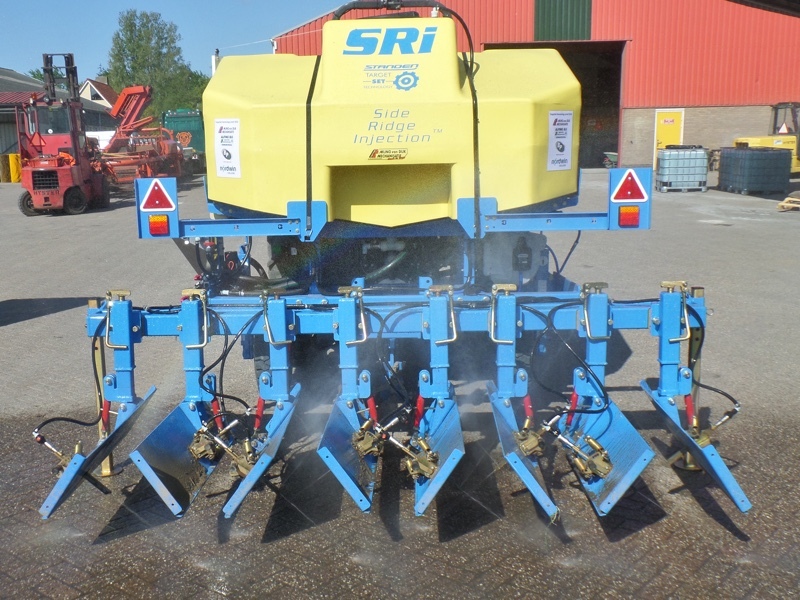 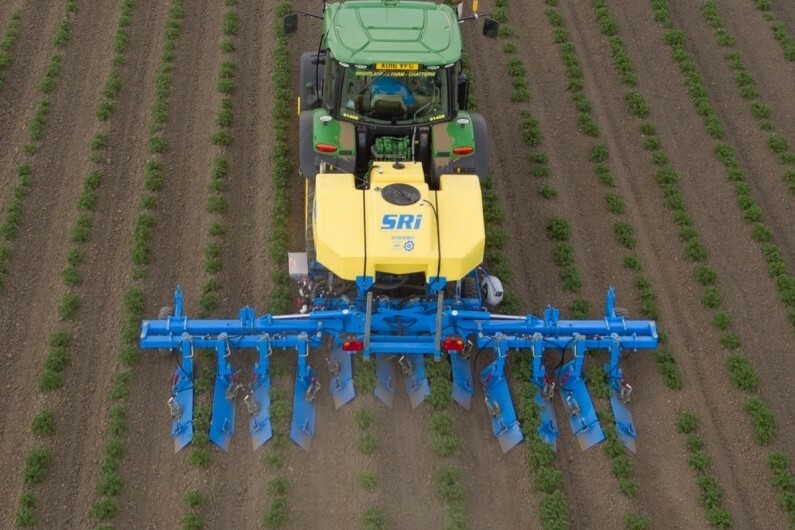 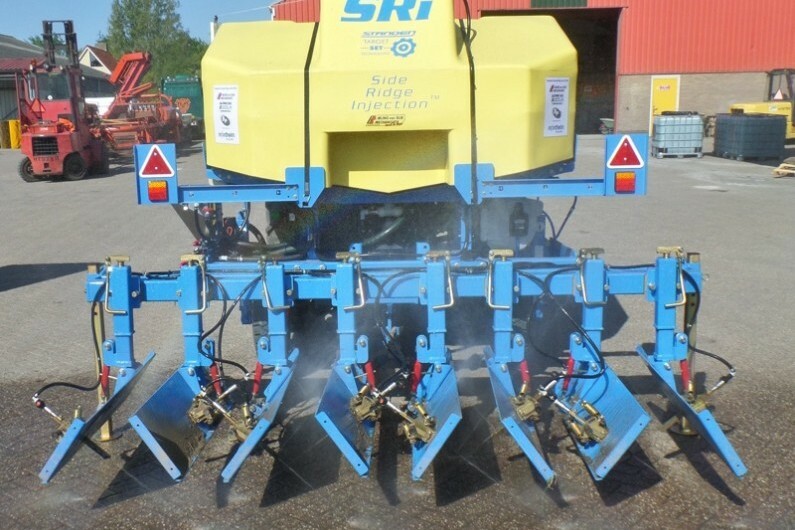 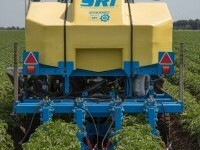 Target Set SRI™ facilitates injection into the potato ridge, directly to the area of greatest benefit; it also allows fine tuning of a mixture of several elements fed from individual on-board tanks. 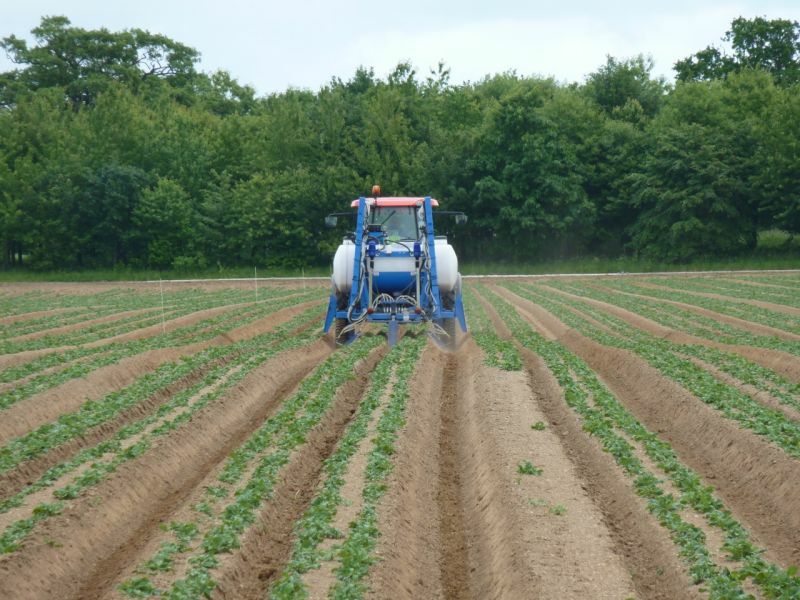 With over 40 years experience growing potato crops in the varied climate of the United Kingdom we can reduce your cost of production, increase the quantity and quality of your potato crop yield using wholly organic methods. 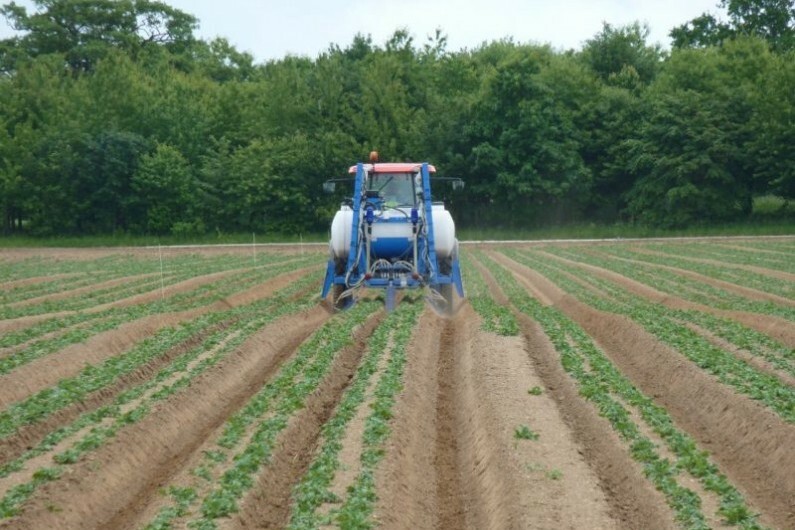 One aspect of our unique application technology allows us to inject nitrogen increasing microbes at an optimum time, much later in the season than anyone else. 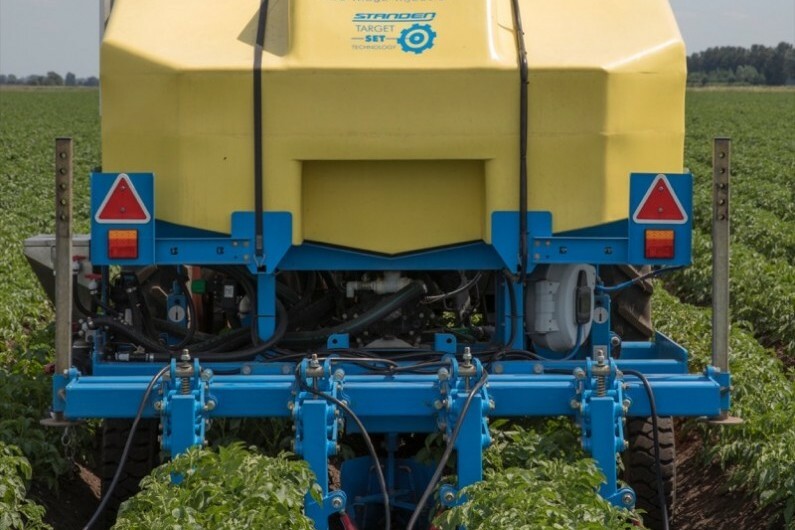 This ensures your crop is as healthy and abundant as possible and at the same time (or and in addition) reduces the quantity of fertiliser required by up to 30%*. 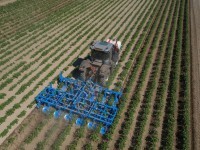 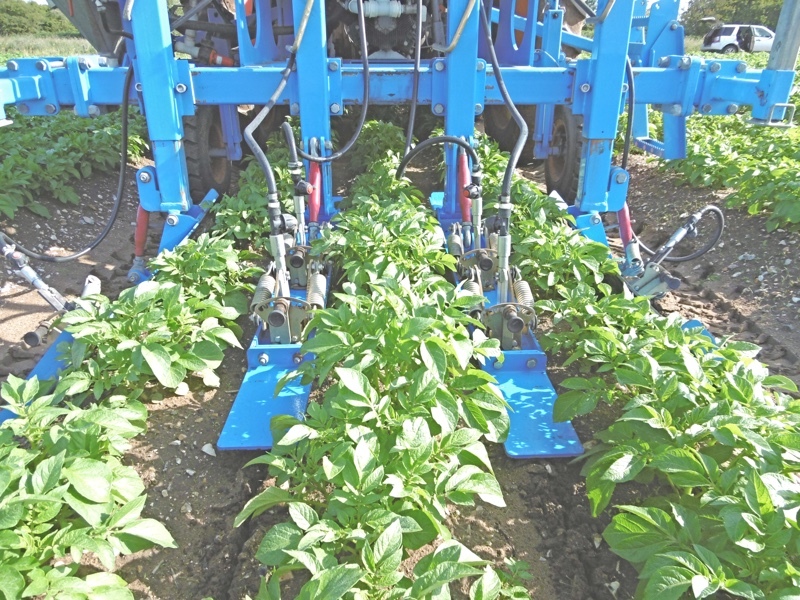 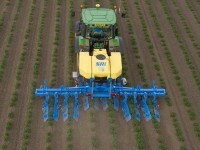 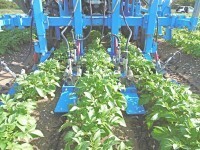 The tractor mounted machine injects liquid bio products, nutrients and fertiliser directly into the potato ridge root zone. 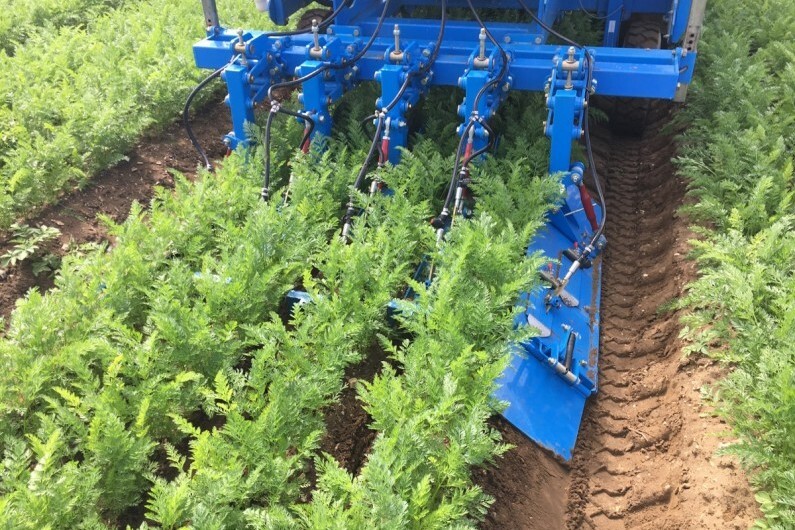 Equipped with a 1500L product tank, high pressure (8-10 bars) pump with precision metering, filtration and distribution system and controls. 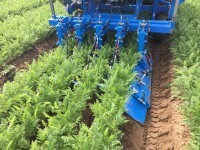 New DABb narrow profile injection blades, new side plates with improved design. 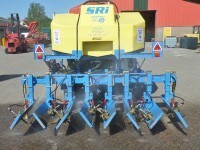 Please visit www.targetset.co.uk for more information.